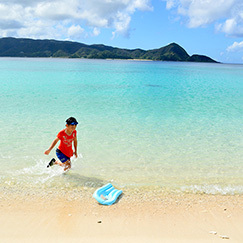 Of those who visit Amami Oshima, many want to bring home a unique souvenir that isn’t too hard to carry. Well how about you take back a souvenir made from Oshima Tsumugi silk fabric? The art of creating Tsumugi silk fabric has been honed and preserved on Amami Oshima for over 1,300 years, and it is an elegant fabric that the Japanese consider to be the highest quality fabric for kimono (Japanese-style clothing). Tsumugi silk is traditionally dyed in mud, and other plant-based dyes like indigo, repeatedly to create a spectrum of shades and colors, and then in a process that involves over 40 separate procedures it is woven into patterns that characterize common icons of Amami, like the local plants and animals. 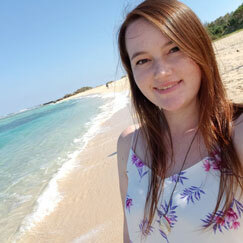 For those of us who don’t necessarily wear kimono every day, souvenirs that are a bit more practical are more ideal. 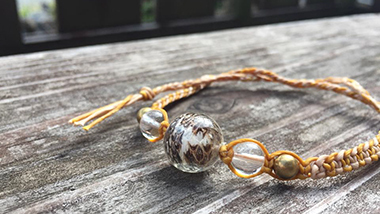 Luckily, the people of Amami have started to make other products with the Tsumugi silk to make it more accessible to everyone. 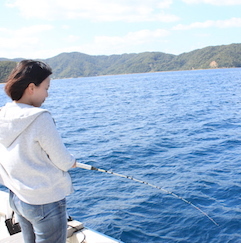 In this article I’d like to share souvenir shops and Authentic Amami Oshima Tsumugi silk producers where you can get some of these products! 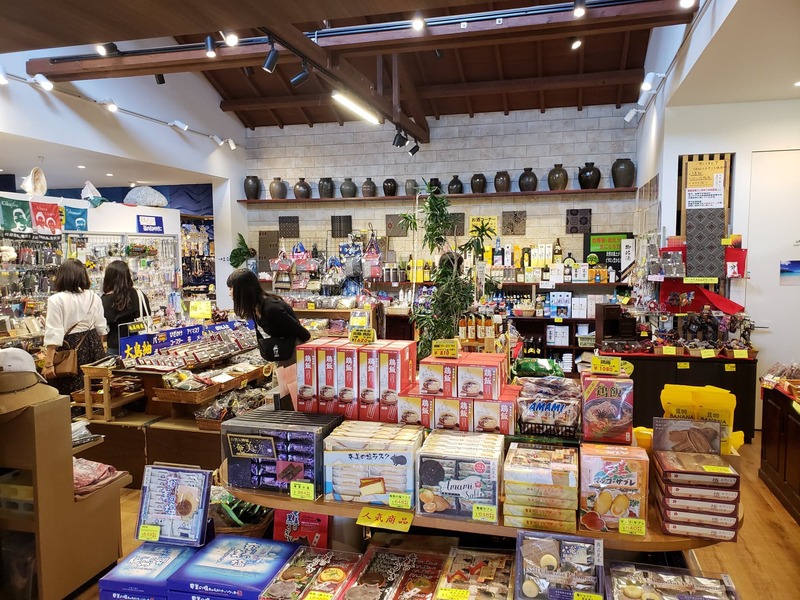 Tokuyama Tsumugi in Naze, Amami City specializes in Authentic Amami Oshima Tsumugi products, and they also sell other Amami souvenirs like local snacks and Kokuto Shochu (distilled liquor made with brown sugar). 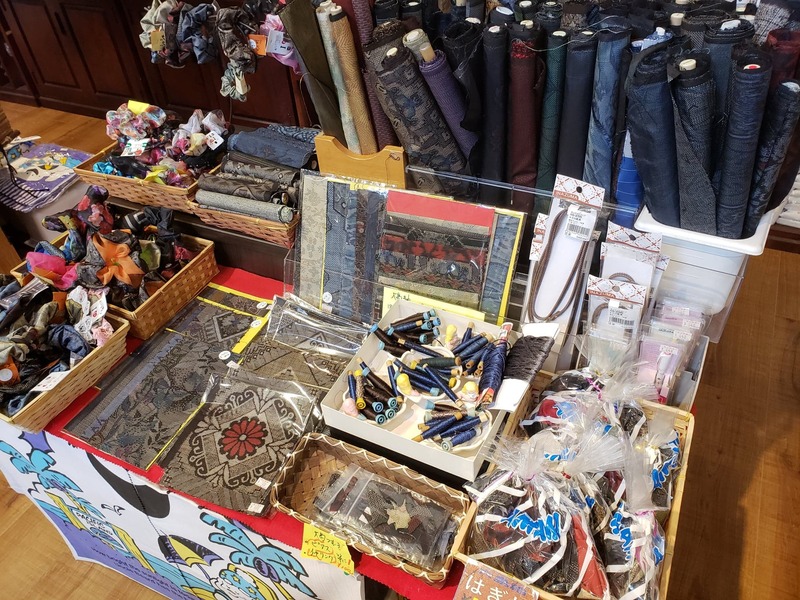 They sell many accessories, like key-chains and good luck charms made with Tsumugi fabric, as well as neckties and scarfs, so you can find a souvenir for people of all ages here! 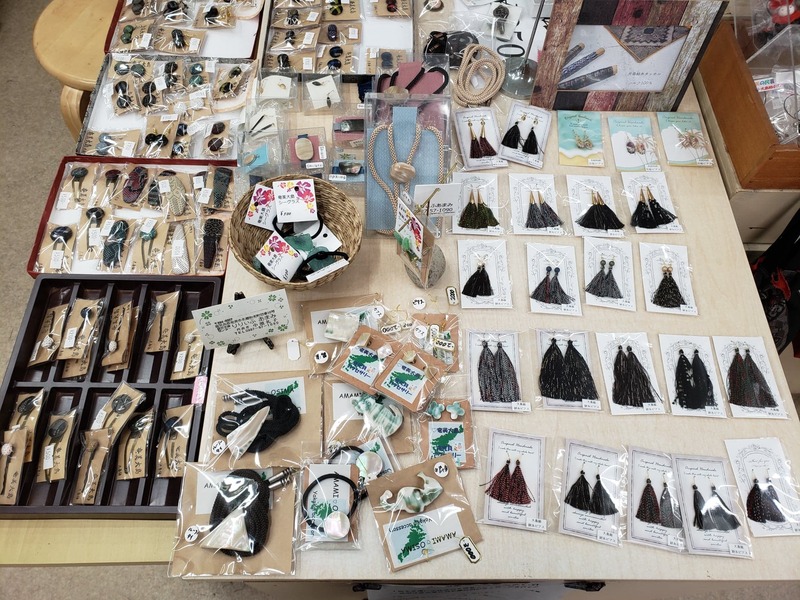 I personally recommend their earrings made from Tsumugi silk strands; they are stylish and modern- perfect for the fashionista in your life! Tokuyama Tsumugi is conveniently located on a small shopping street next to cafés and other shops. They are open from 9:00 AM to 7:00 PM, except they close on Sundays and Thursdays. Here is their website, check them out sometime! The authentic Tsumugi silk fabric shop Tsumugi-no-Nishi is located on the same shopping street as Tokuyama Tsumugi in the heart of Naze, Amami City. It has slightly different products, so they are both worth visiting! 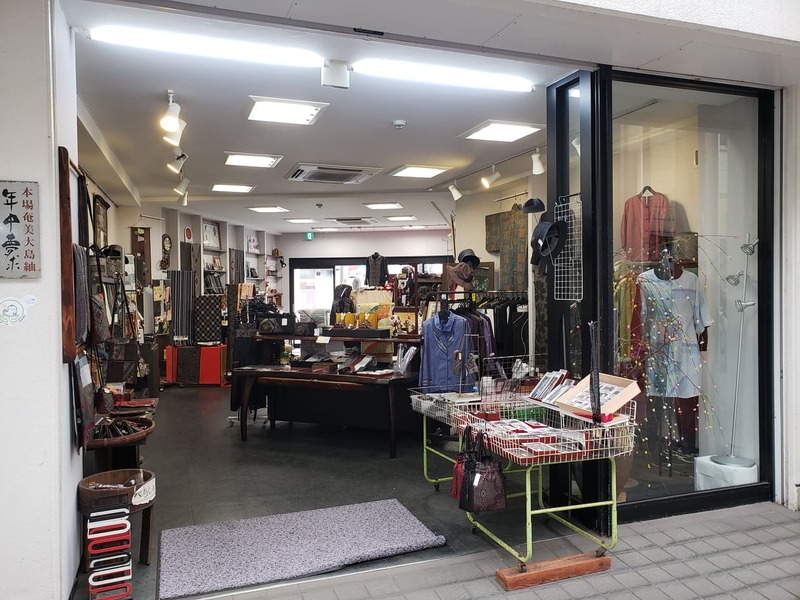 This store sells contemporary-styled clothing made with Tsumugi fabric, as well as bags, hats, scarfs and more. They also have cute fabric animal dolls made with Tsumugi! 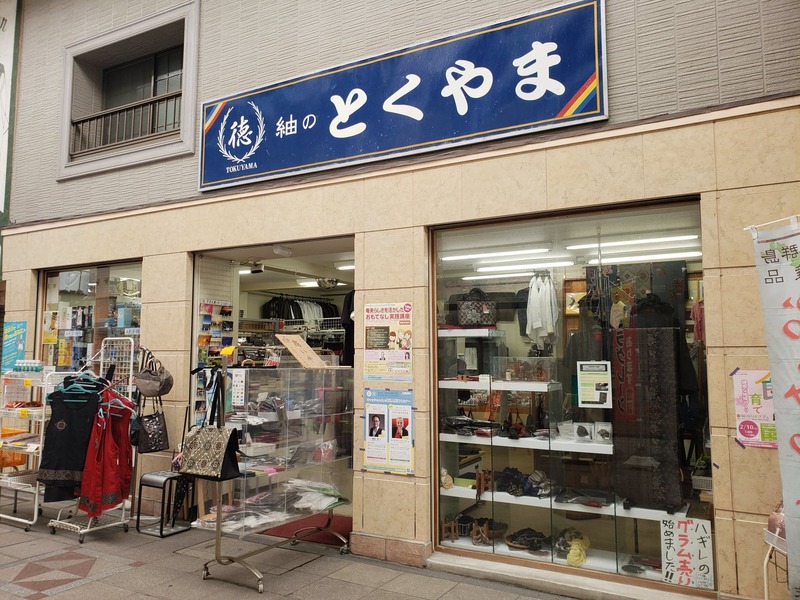 Tsumugi-no-Nishi, along with all of the other shops on this list, is family owned and run. If you stop by, have a chat with the shop person; they most likely helped make the items! 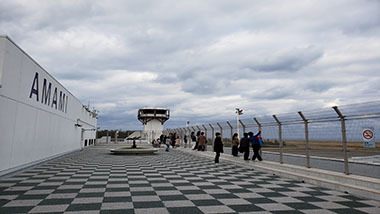 While Tsumugi Factory nono is also in the main section of Naze, it is closer to the port and the Yanigawa bar street. It is also next to a public parking structure, so those who are travelling by car can also easily access it. 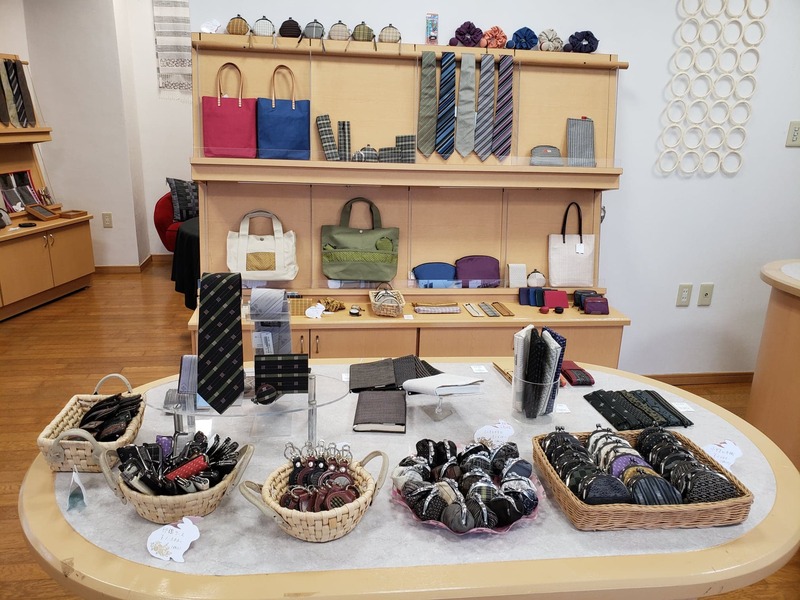 They sell accessories at this shop that are sleek and compact, like wallets, coin purses, pencil and glasses cases, and more! 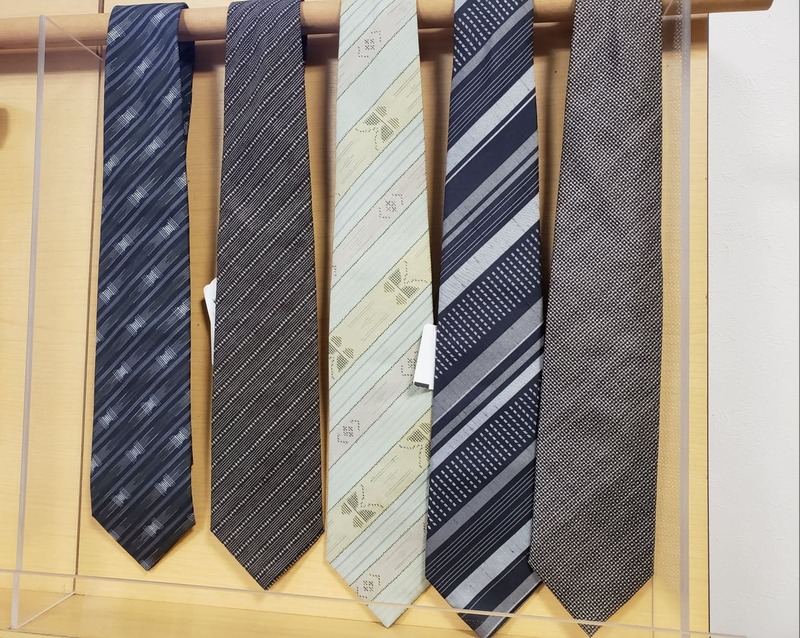 The patterns of Tsumugi they design at this store are also business-like and modern, for those going for a more subtle Tsumugi look. They have a website here, and they are open from 11:00 AM to 7:00 PM with the exception of Thursdays and Sundays, when they are closed. The souvenir shop Maeda-ya has two locations: one is in the Amami Airport, and the other is the main shop, which is just a 5 minute drive north from there in the Kasari area of Amami City. 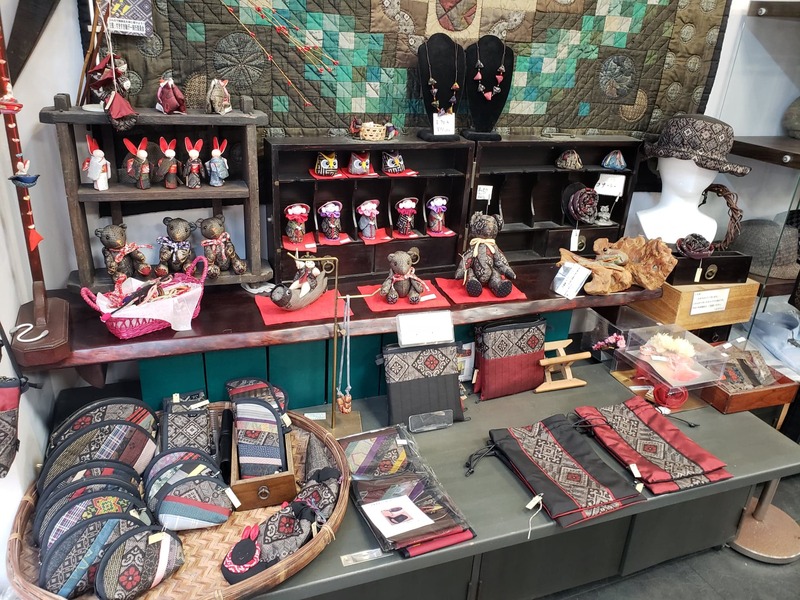 The main shop also has a shell gallery, an ice-cream shop, and a large selection of local Amami souvenirs as well in addition to the authentic Tsumugi silk fabric they offer. Maeda-ya also sells small pieces of Tsumugi fabric and spools of Tsumugi for people who want to try their hand at making Tsumugi accessories themselves! 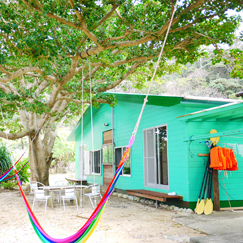 This family friendly store is also on the way to beaches and other fun tourist destinations in the northern part of Amami Oshima! The main shop is open from 10:00 AM to 6:00 PM, while the airport location is open from 8:00 AM to 7:00 PM. The main shop has more Tsumugi products so I would recommend stopping by that one if you are looking for Tsumugi souvenirs! Here is their website with more info! These are just a few shops in the Amami City area, but there are various other unique family-owned shops that provide Tsumugi souvenirs for every occasion. 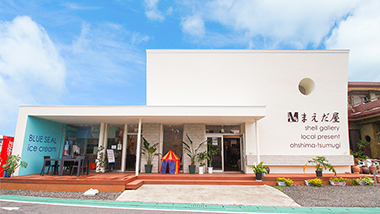 Experience this world-renowned fabric and stop by some of these shops on your next trip to Amami! Copyright © 2016 一般社団法人あまみ大島観光物産連盟 All Rights Reserved.